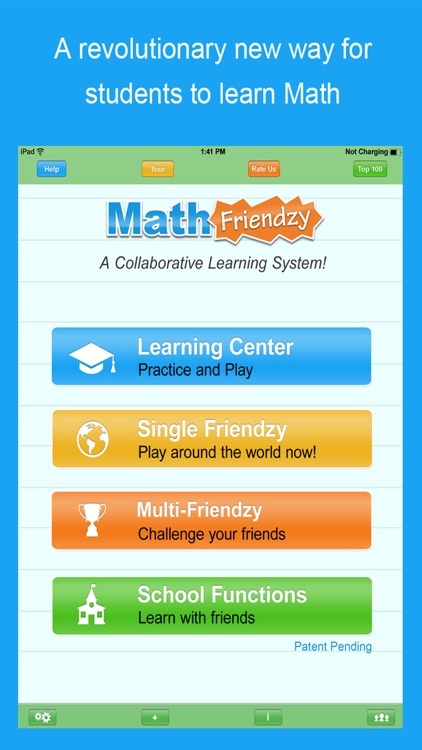 Math Friendzy - Online Live Tutors, Lessons by WS Publishing Group, Inc.
Get your kids free online live tutors and homework help! 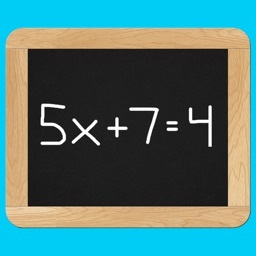 Plus16M learning resources, instructional videos, & math games. Includes thousands of practice skills and critical thinking word problem to help your student excel in math. Even better, students learn math playing with other students from all over the world! With this collaborative learning program, parents can quickly check their kid’s progress, and monitor their performance via weekly progress reports. Out of town and can’t help your student? No problem! You or a family member can tutor your children remotely using our interactive dashboard at no additional cost. For as low as $15/hour, your children can get help from a professional live tutors in various math subjects, including Pre-Algebra, Algebra, Geometry, Statistics, Trigonometry, Pre-calculus, Calculus, and many more. 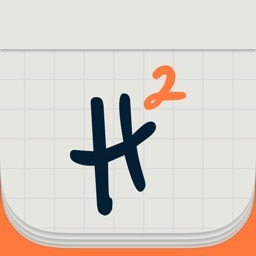 This revolutionary learning app, allows schools to create a network of FREE tutors to offer your student unlimited live math tutoring at no charge to you. 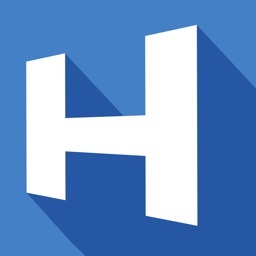 These FREE live tutors are students from the same school, other schools, nearby high schools or colleges that can tutor K12 students in subjects such as Pre-Algebra, Algebra, Geometry, Statistics, Trigonometry, Pre-calculus, Calculus, etc., remotely and anonymously in exchange for community service hours. 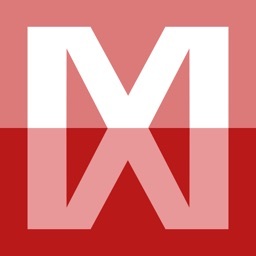 As a supplemental math tool, access to over 16 million learning resources in various math subjects, including Pre-Algebra, Algebra, Geometry, Statistics, Trigonometry, Pre-calculus, Calculus, and many more. 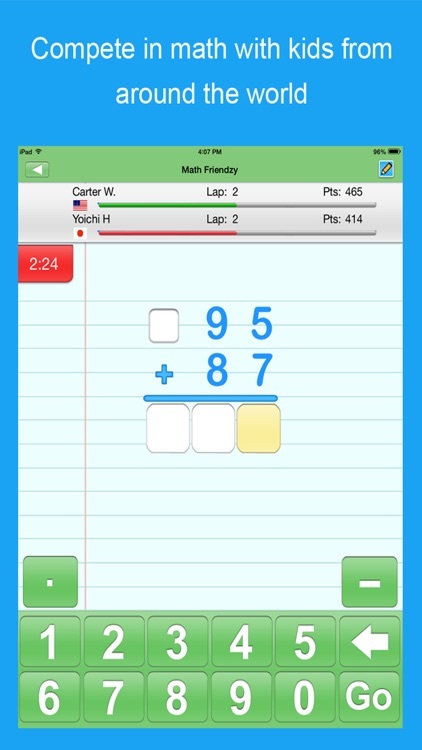 Improve your learning with tens of thousands of math practice skills, and critical thinking world problems. As a collaborative learning tool, form peer-to-peer online study groups and collaborate with classmates. 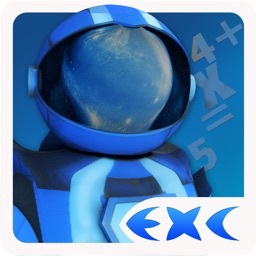 Enter into a math competition with other K12 students from all over the world to make learning more engaging and fun. 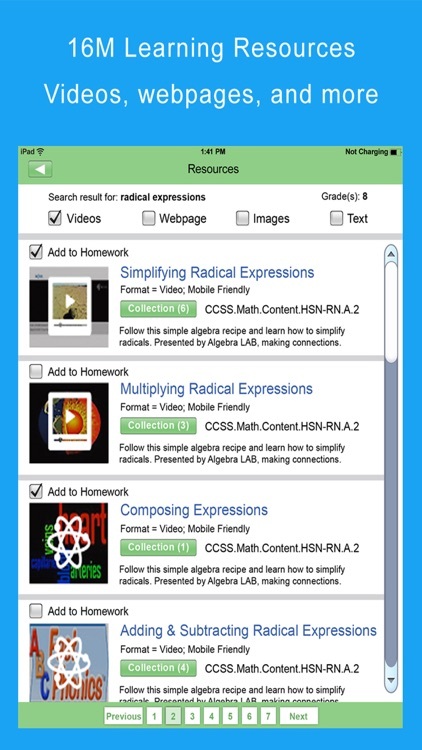 Get customized feedback, or individualized homework from your teacher for one-on-one learning. 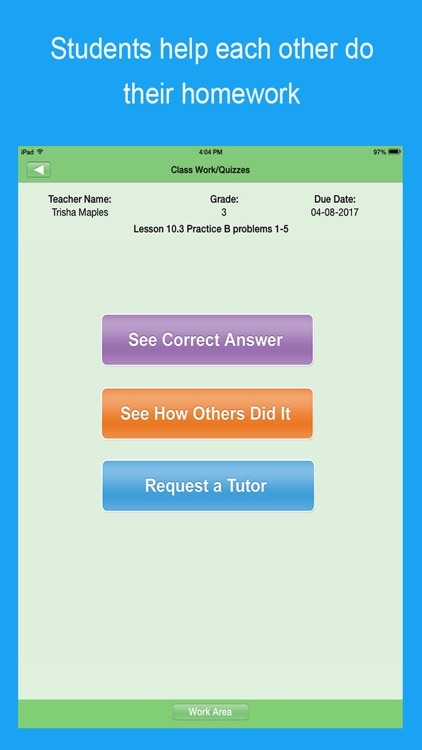 View your classmates’ step-by-step homework answers to learn other ways of solving math problems.